We believe in the power of dreaming and the process we created and value called Visioneering. 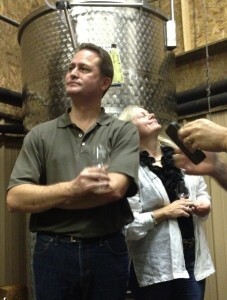 Wine is an avid shared hobby of our founding partners, Krista (KK) and her husband Scott. Pursuant to their big dreams for their desired future, they purchased a 25 acre farm and relocated from East Central Dallas to rural Grayson County, Texas in December 2015. They’ll be opening a winery and vineyard, north of the towns of Sadler and Whitesboro in North Texas (In between Denison/Sherman and Gainesville). A quick hour-ish drive north from Dallas, they are pleased to be located in the Texoma A. V. A. 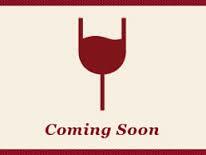 (American Viticulture Area) and look forward to producing wines made from 100% Texas grapes. She and Scott became grape farmers beginning with a Test Vineyard of 125 grapevines (5 varieties: Merlot, Syrah, Viognier, Alvarinho and Tempranillo) in Spring 2016. In 2017 they planted a full acre of Tempranillo. Plans for adding an additional acre of Tempranillo in 2018 are well underway. Winemaking and expanding the vineyard together over the next 8+ years is their life’s next chapter. They aim to begin soft openings for their winery in either late 2019 or mid 2020. In the mean time, Krista is incorporating some of what she knows about viticulture, enology, cuisine, and hospitality with her everyday life. 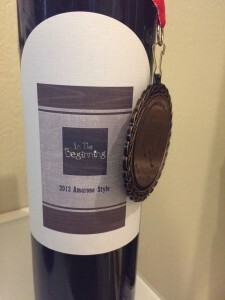 She periodically supplies blog content to the Texas Wine Lover®, served on the grassroots committee developing the Texoma Craft Beverage Alliance, as well as the Grayson College Board of Trusteees and the Advisory Board for the T.V. Munson Enology & Viticulture Center which houses the Grayson College programs for wine making and grape growing. In October 2014, Krista and Scott joined the Texas Wine and Grape Growers Association as “Friend of” members and attended Grape Camp in Fredericksburg that November. In 2016, they were thrilled to upgrade their membership to Small Vineyard Members. 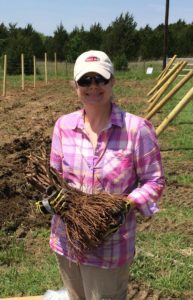 In January 2015, Krista began her studies at the Grayson College Extension Campus in Denison, home of the T. V. Munson Enology & Viticulture Center. She completed a program that usually takes 2 years in 1 year by earning her Associates of Applied Sciences degree in Viticulture and Enology at Grayson College in Denison, Texas and graduating with honors in December 2015. In April 2015, Krista received one of five Hoss Newsom Annual Scholarships awarded by the Texas Wine & Grape Growers Foundation for upcoming Texas Winemakers and Grape Growers. KK also served for the first time as a judge for the Lone Star International Wine Competition, June 1 & 2, 2015, hosted in Grapevine, Texas by the Texas Wine and Grape Growers Association. She was invited back to judge again in 2016 and 2017. The 2018 competition dates are in her calendar.